The next chapter deals with how the Civil War affected Lee’s beloved Arlington. When war broke out and Virginia seceded and joined the rebellion, both sides realized the strategic value of Arlington, which overlooked Washington and would be a natural artillery platform. The Union immediately took steps to secure this important site, meaning Arlington would be occupied for the duration of the war. “The property also became the site of a far-reaching project for educating the newly freed slaves. ‘Freedman’s Village’ was the outgrowth of the Union Army’s attempts to care for Arlington’s black people and a response to the needs of thousands of runaways who arrived in Washington. In 1863 the Department of Washington directed that inhabitants of ‘contraband’ camps be consolidated at Arlington, and at one point up to two thousand people lived and worked in the rows of whitewashed buildings on the southern corner of the estate. Schooling was arranged, a hospital was erected, and a farm was developed. To complete the village, a cemetery was created in one corner of the grounds.” [p. 309] Ms. Pryor goes into how the government appropriated Arlington due to nonpayment of taxes and how, through the actions of Union Quartermaster General Montgomery Meigs, it was turned into a national cemetery. 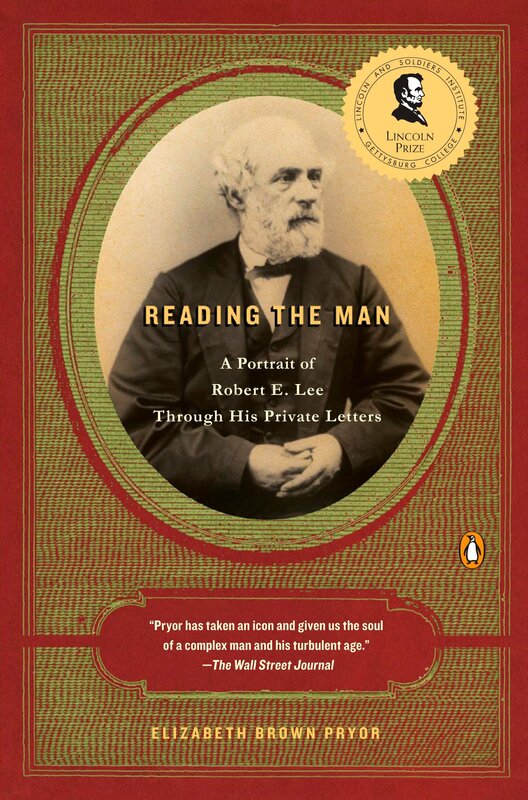 Chapter 20 looks at Lee in 1863. Titled “Apogee/Perigee,” it delves into the battles of Chancellorsville and Gettysburg. In talking about the confederate flanking maneuver at Chancellorsville that led to victory, Ms. Pryor writes, “A good deal of ink has been expended in speculating about who originated the brilliant tactic. Jackson’s mapmaker, who is among the most credible sources, implied that it was his chief. Lee later went on to rather elaborate efforts to give himself the credit. What is more important is the fact that it showed a near-perfect collaboration in design, timing, and execution between the two men–a symmetry that was missing on too many other occasions among senior leaders in the Army of Northern Virginia. Ultimately everything worked at Chancellorsville because it was infinitely prepared and precisely implemented; and because the very audacity of the movements flabbergasted the Yankees and undermined their fighting spirit. That demoralization carried over from this field, leaving a lingering disquiet about what Lee and his army were capable of doing.” [pp. 345-346] Lee gets criticism for his high casualty rate, and Ms. Pryor makes the point that Lee himself was disappointed with the casualty rates when compared with the gains from the victories he purchased with the blood of his men. “Lee felt from the first that the best chance for the Confederacy’s survival was to decisively defeat the Union army, and he held to this belief until the end of the war. ‘If we can defeat or drive the armies of the enemy from the field, we shall have peace,’ he would write. ‘All our efforts & energies should be devoted to that object. … Lee believed that quick, crippling victories would so devastate northern morale that the will to oppose the South would collapse. He also responded to southern public opinion that soared on news of big victories, bolstering popular support in spite of the increasing difficulties of daily life.” [pp. 347-348] The weakest part of the book concerns the battle of Gettysburg. Ms. Pryor believes Lee directed Ewell to take Culp’s Hill if practicable, when in fact it was Cemetery Hill, and she believed J.E.B. Stuart and the confederate cavalry were part of the attack plan for the Pickett-Pettigrew-Trimble Charge, with orders to attack the rear of the Union Army. There is no evidence of that, and indeed Stuart’s actions make no sense if that was his mission. His actions make sense only if, as he said in his report, his mission was to guard the left flank of the confederate army and then be prepared to exploit a breakthrough and retreat of Union soldiers if one should occur. Ranger Troy Harman facilitated our discussion of this part of the book. He had some prepared questions, which was a good idea, but unfortunately I think his focus was too diffuse. He went on a number of tangents instead of remaining focused on the book itself. In addition, he made the claim that the South paid 2/3 of the tariff prior to the war, a claim that is obviously not correct [see the discussion here].